Anne initially worked at St Thomas's Hospital in an orthopaedic specialist area before becoming qualified as a Registered Clinical Nurse Teacher. She moved to the St Bartholomew School of Nursing and Midwifery and undertook a Diploma in Nurse Education and qualified as a Registered Nurse Tutor. 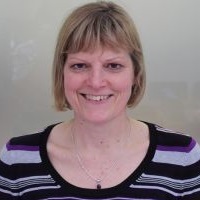 Following completion of an MSc in Nursing at Brunel University Anne became a Senior Lecturer with the responsibility of Programme Manager for the Common Foundation Programme of the Undergraduate RN/BSc and Diploma in Nursing Adult, Child and Mental Health. Following a period of time undertaking this role and then fulfilling the lead within the Adult Nursing Department for pre-registration nursing she became the theme leader for the Professional Nursing & Midwifery Knowledge Theme in the 2006 Curriculum development. Her teaching interests span across pre-registration and post registration courses and she has experience in running pre-registration and post registration modules. This includes involvement, as team facilitator, in the planning and implementing of a teaching and learning research study that focused on reflection. This study was published in 2009. Anne currently the admissions tutor for the BSc (Hons) Adult Nursing Programme. She also continues with the role of Module Leader for NM 3001 on BSc (Hons) Nursing and Midwifery in addition to undertaking the role of Joint Module Leader for HSM001 within the 2012 RN/Post Graduate Diploma in Nursing programme. - Link Lecturer for 6 clinical areas at Homerton University Foundation NHS Trust including 3 surgical units, a Stroke Rehabilitation Unit, a Neurological Rehabilitation Unit and an Elderly Care Admission Unit. - Link Lecturer for BUPA Meadbank Care Home, Battersea and Mary Seacole Nursing Home. Manning, A., Cronin, P., Monaghan, A. and Rawlings-Anderson, K. (2009). Supporting students in practice: An exploration of reflective groups as a means of support. Nurse Education in Practice, 9(3), pp. 176–183. doi:10.1016/j.nepr.2008.07.001 . Manning, A., Cronin, P., Monaghan, M. and Rawlings-Anderson, K. (2009). Supporing students in practice: An exploration of reflective groups as a means of support. Nurse Education in Practice, 9, pp. 176–183.